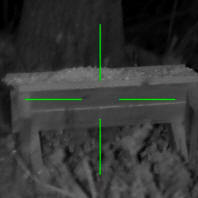 In Part 6 I showed daytime videos and photos with deer everywhere and in one photo I captured were six fawns in view. 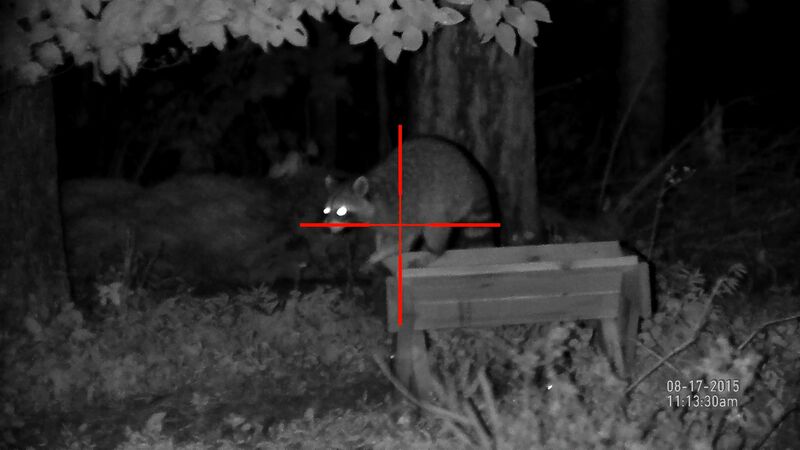 You would think that this type of daytime abundance of wildlife would be pretty good at night also. 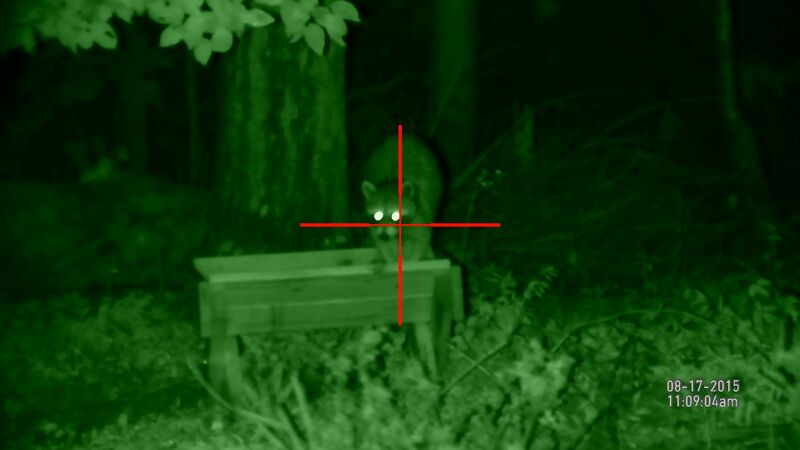 Well, unfortunately, I'm not on the deer's night cycle yet, but I did have a visit from a possum and some raccoons that gave me the opportunity to have some wildlife in view to make these night vision videos and photos more meaningful. As I took this night vision footage (and other footage not shown), I tried to make some notes on my observations about using the X-Sight in the night vision modes. I already explained this in Part 5, but it is worth mentioning again that the night vision images will have a different focus setting for a given distance than the daytime setting. 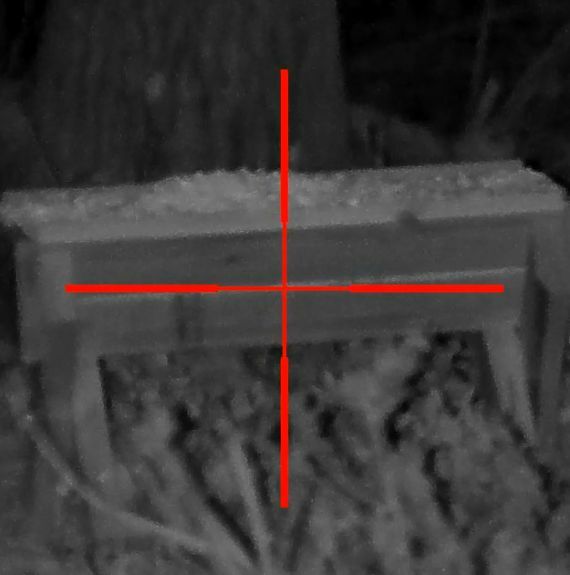 In Part 2, I think I talked about the fact that as you zoom in from 5x to any higher level, you are using the digital zoom and not optical zoom which will make the images start to appear grainy at higher magnification levels. You can switch from the night vision "Green" mode to "White" mode while taking video. You cannot increase the "Light Amplification" mode while taking video. 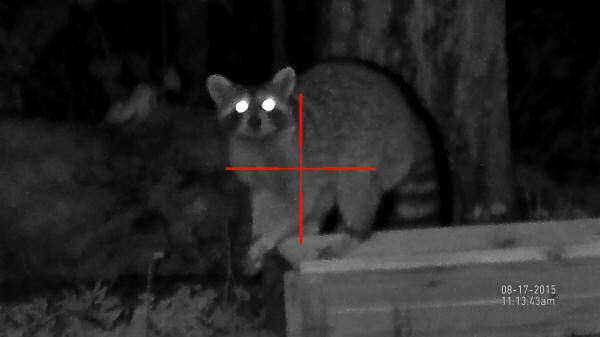 The auto brightness feature adjusts the level of screen brightness to a relatively common level of brightness even as you changed the intensity level on the IR illuminator. 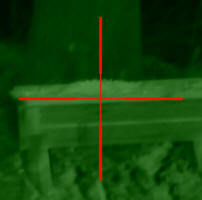 For example, if the intensity is initially very bright, auto brightness will darken the image. 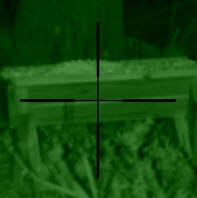 The "Green" mode seems to brighten the image and show more details in the darker areas. 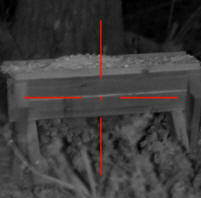 The "White" mode seems to produce a slightly sharper appearing image. 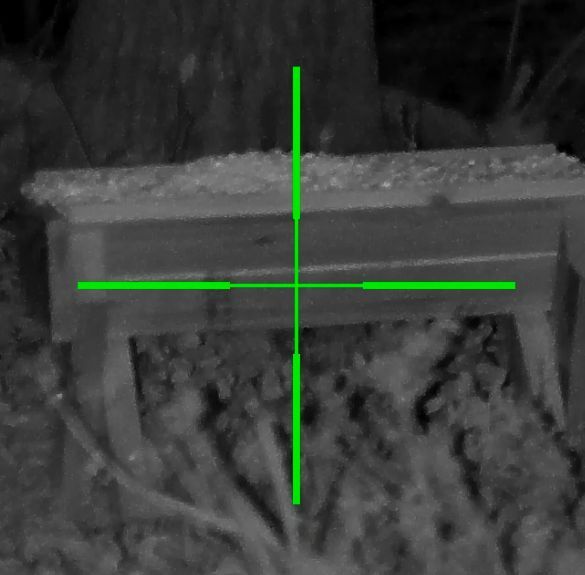 Sometimes when I was taking photos while taking video, the same number of photos did get captured as the number of times I pressed the button. 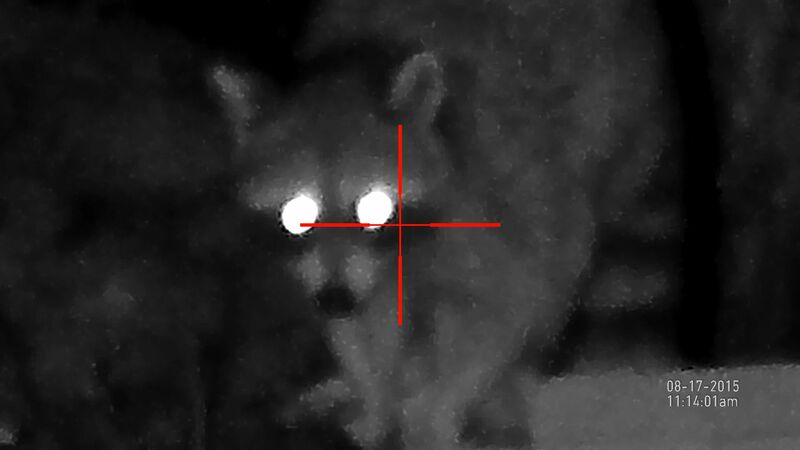 I think the button likes a very quick button press for capturing photos. 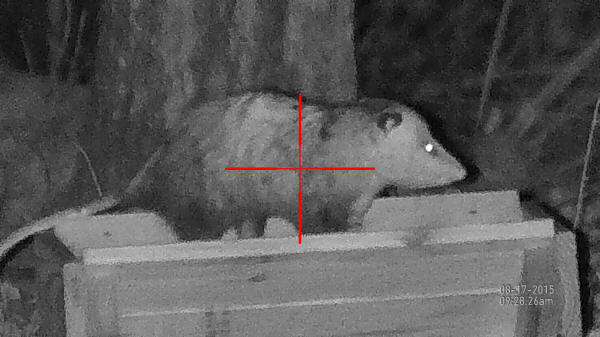 This next series of photos show a possum eating at a distance of about 35 yards and with different magnification levels. 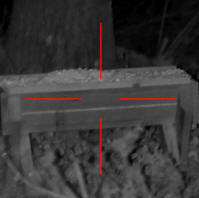 Also, for all of this part of the review, the "Light Amplification" mode in the X-Sight was set to "Medium". 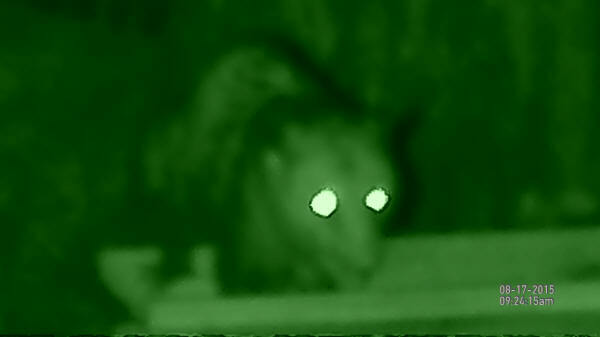 To me, it is clear that if I were hunting possums, this bad boy would be pushing up daisies. 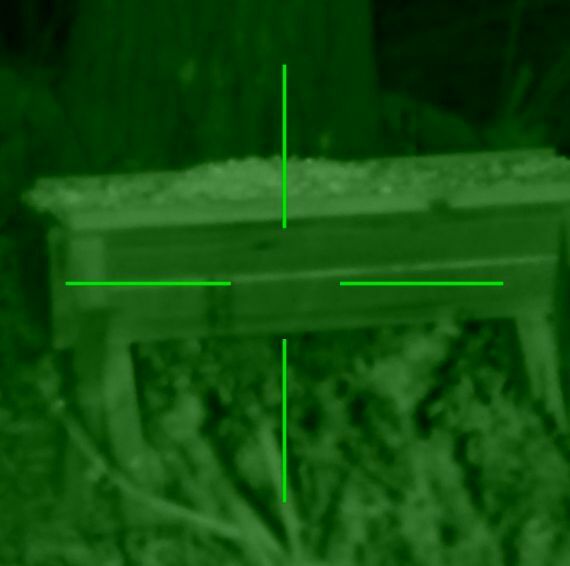 The quality of the image easily allows the ability to identify the wildlife and also the ability to properly aim to produce an effective shot. 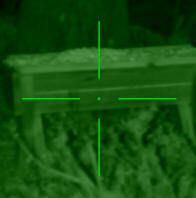 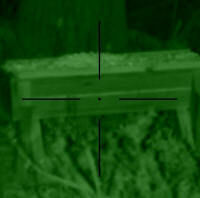 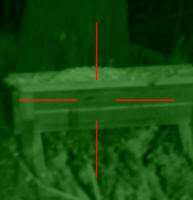 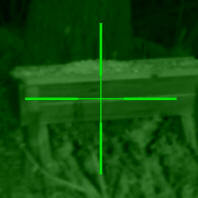 This next series of photos was taken with the night vision in the "White" mode. 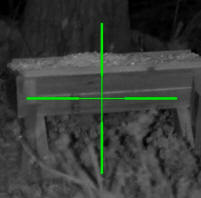 I like the contrast you get from the "White" mode and the image seems to appear more normal. 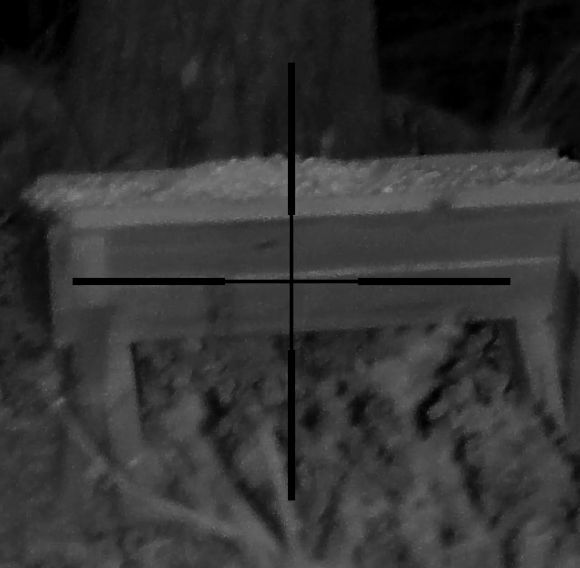 It is basically like watching a black and white video or looking at a black and white photo. 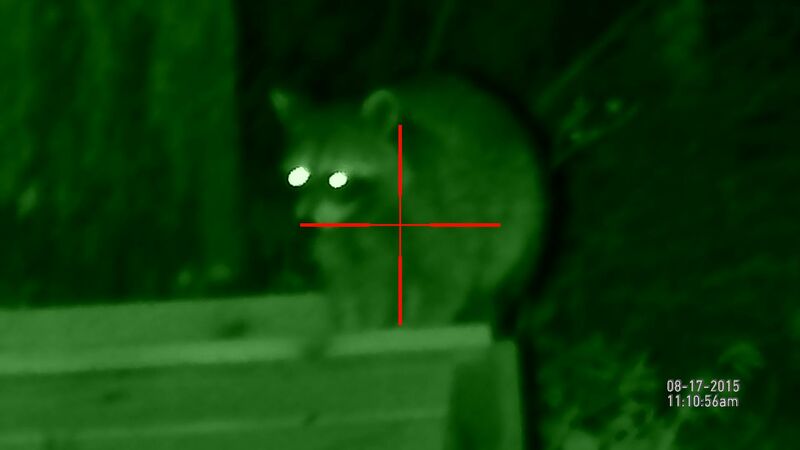 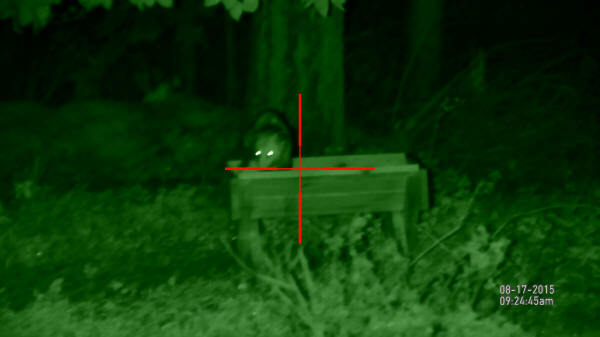 Just like with the photos of the possum, I have a series of photos that show a raccoon at 35 yards. Remember that all the photos were captured or taken at the maximum resolution of the X-Sight (1080p or 1920x1080). Clicking on any of the photos will bring up the full size image captured. 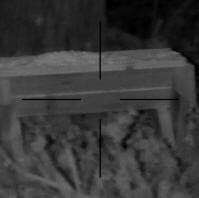 In this next series of photos I wanted to show the different types of reticles available and specifically how the reticles looked in contrast to the different modes of night vision (Green and White). 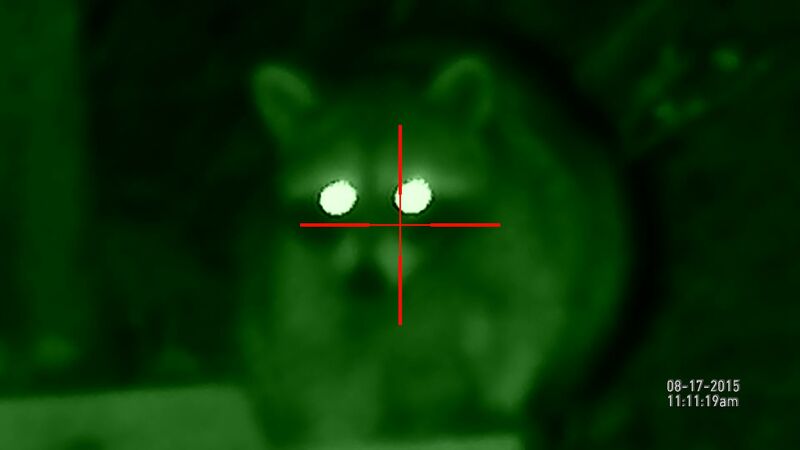 Your personal preference will decide on which reticle looks the best for your night situations. In most of my videos I have been using the thick red reticle which really stands out in both the green and white night vision modes. 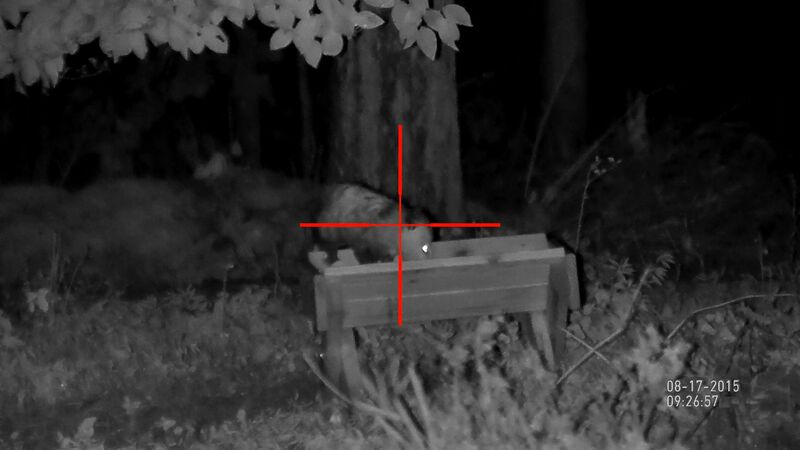 I have really enjoyed the X-Sight and I'm "wowwed" by the quality of images you get for the price and the fact that you can record your video and photos to share with your friends and family. In today's "connected" age, sharing video and photos is a big deal. 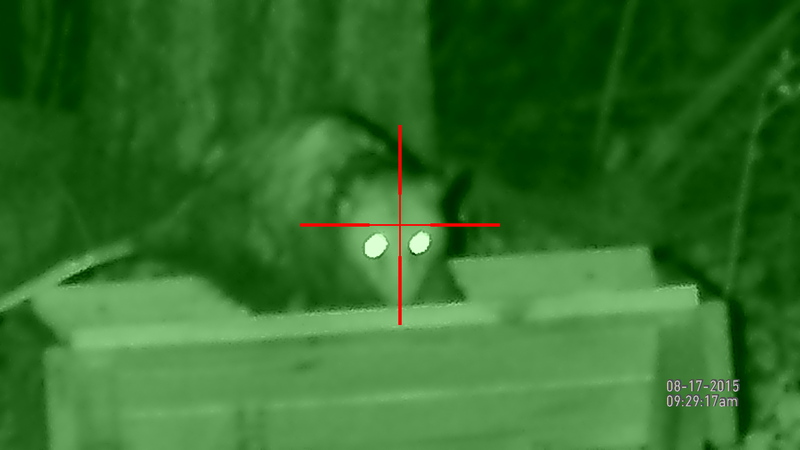 The night vision quality is excellent, again, especially for the price. I'm positive I could be very effective using this riflescope for hunting and am looking forward to that opportunity in the future. 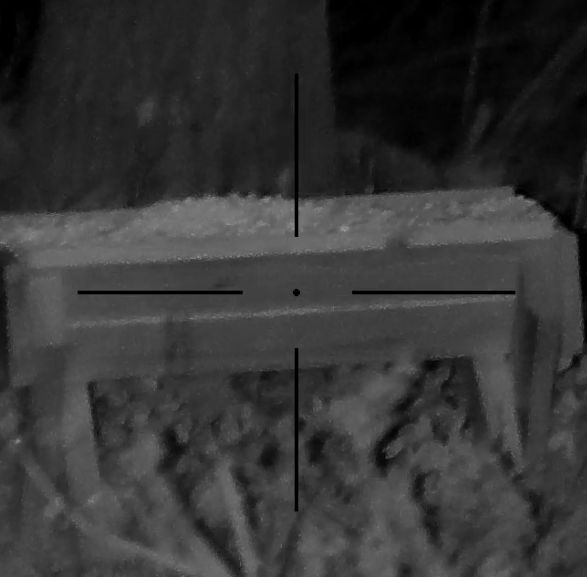 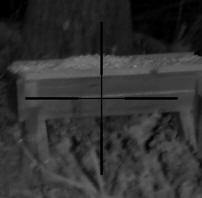 I know that these night vision images are at a relatively close range (35 yards), but I plan to have more video and photos in the near future which will better show the 5-18x model's effectiveness. Keep in mind that them being at 35 yards with the wildlife being a significant relative size compared to the image helps to showcase the 5x optical zoom overall image quality.